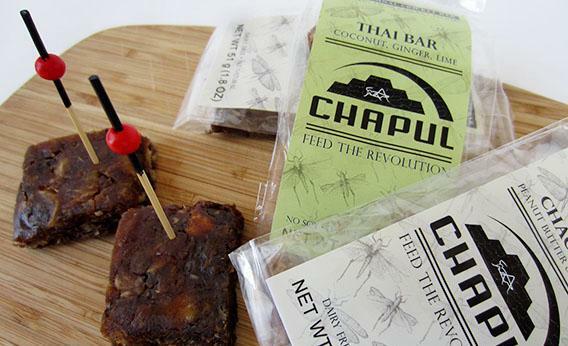 Cricket energy bars: Chapul founder explains why we should eat insects. TO: How’s business? Have you sold many bars? PC: We’ve grown every month since we started. We sold 6,000 bars last month and expect to sell more this month. But we’re aiming for controlled growth. Originally I was looking at what it would take to farm crickets, but it just didn’t make sense to do that without any consumer demand. So we decided to create a product to create that demand. TO: Even in bar form, is it a problem overcoming the “yuck” factor with consumers? PC: A lot of people are frustrated with the lack of sustainability in the industrial food chain. Right now we’re focused on people who are eager for change and understand why we’re introducing this product. PC: I’d like to see little sparks of the industry starting all over the world, or at least in Western Europe and the United States, where there’s a lack. But I don’t view insect consumption as a silver bullet. It’s one thing we can do and that I can focus my individual energy on. We also need to tackle so many other aspects of the completely unsustainable civilization we’ve created.